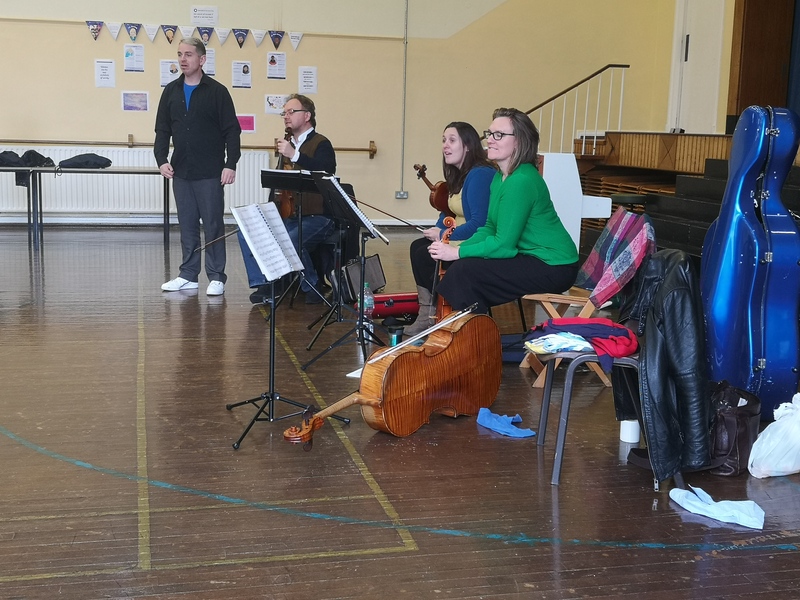 Second and Third Class were visited by a string quartet in April. This is part of our involvement in the Music Generations Programme. The aim of Music Generations is to provide access to high-quality, subsidised and sustainable performance music education for children and young people in Ireland. Initiated by Music Network, Music Generation is co-funded by U2, The Ireland Funds, the Department of Education and Skills and Local Music Education Partnerships. As part of our involvement in Music Generations, our Infant classes are taking part in The Early Years Primary programme with experienced music educator, Eimear Lacey. Eimear will visit each class weekly to lead them in a fun-filled, movement and song based programme, with an emphasis on child-led group music-making through play within the classroom. This Orff style approach encourages the use of percussion instruments, improvisation and movement to music. Percussion, string and voice workshops are being organised for some of our other classes in the coming term.